Koh Lanta is a series of islands in the Krabi province in South Thailand. The main ones are Koh Lanta Noi and Koh Lanta Yai; Koh Lanta small and Koh Lanta big. The main island of interest for tourists is Koh Lanta Yai (big). This island is 6 km with and 30 km long. The islands has plenty of good roads so the island can easily be explored on a scooter bike. 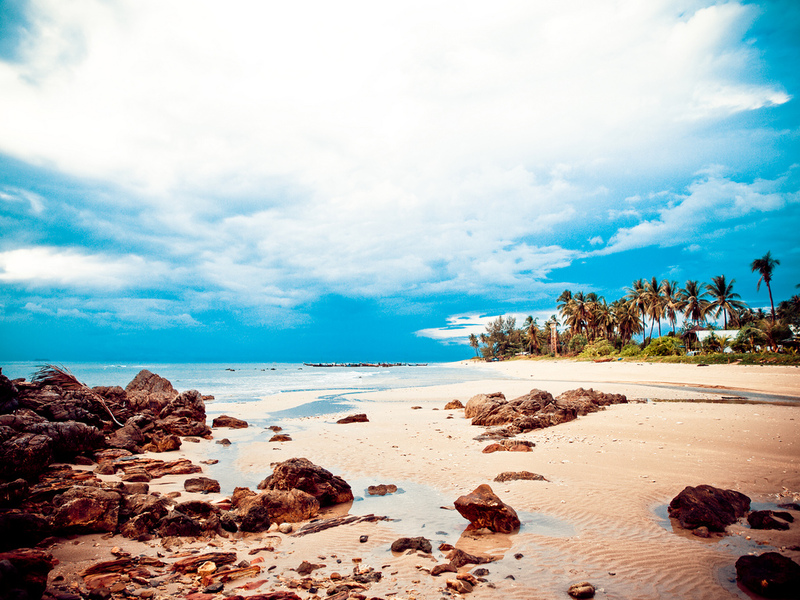 Koh Lanta can be reached through the airports of Krabi, Trang and Phuket. From here you need to take a bus and boat combination. Since Trang and Krabi have direct road and boat connections to Koh Lanta these cites are the best options to start. A nice day-trip destination south of Koh Lanta is Koh Rok. This is a uninhabited small island where you can do snorkeling. It is also possible to stay on a small camping here. From June until October the island is affected by the rain (monsoon) season. The days can be cloudy with an abundance of rain. Some of the hotels, resorts and restaurants are then temporary closed which make the atmosphere on the island a little less vibrant. The sea can be rough and garbage might drift ashore. The cool season from November until may might be a better time for you to visit this island. One of the beaches at Koh Lanta.